If you decide that your child should have a mobile phone but he doesn’t need smartphone functionality, you may want to purchase a feature phone with limited functions. Don’t get “sold” that the only phones available are smartphones (like miniature, handheld computers). There are many options for parents wanting to provide their children with a bare-bones mobile phone without additional capabilities. Will you save money with a prepaid plan over a contract based on the number of minutes your child will use the phone to make and receive calls? Will you be able to add additional features (such as text) without changing plans? Does your wireless provider allow you to add a child’s phone for a minimal cost? Is it important to you to not be locked into a multiple year contract for your child’s phone? Your wireless phone service provider offers devices that don’t include the data plans that come standard with a smartphone. While these phones typically include additional features (cameras and texting capability), you can indeed purchase a phone without being saddled with a texting or data plan. Most major wireless service providers offer kid-friendly plans and parental controls. Kajeet is a pay-as-you-go mobile phone service created specifically for children. You have the freedom to select a feature phone or a smartphone for your child and then link that phone to the Kajeet no-contract service. Kajeet’s plan comes automatically linked to parental controls that allow you to limit the use of that phone to specific incoming calls, specific outgoing calls, and other limited functionality such as times of use. Kajeet phones also come with a GPS phone locator to help parents locate their child via their Kajeet phone. It costs as little as $4.99 per month for a child to use the Kajeet phone service. 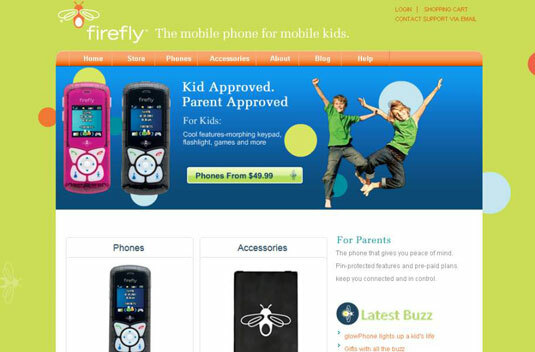 Firefly sells mobile phones created specifically for children and tweens. 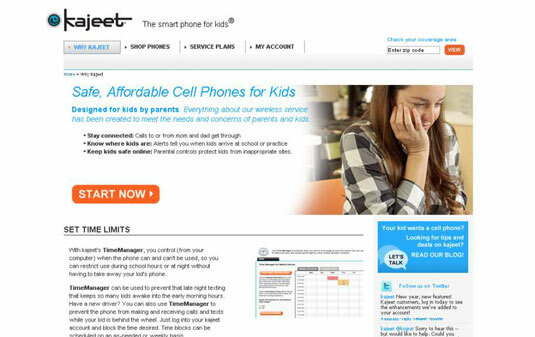 Their phones allow kids to contact only pre-approved phone numbers and emergency numbers. Parents control what games and features their children have access to via a PIN-protected parental control. Like Kajeet, Firefly also provides mobile phone service that does not require an extended contract. Firefly currently provides the option to purchase either the Firefly glowPhone or the Nokia 100. Jitterbug is a call-only phone from Samsung with easy-to-understand functionality and large, easy-to-see, easy-to-press buttons. 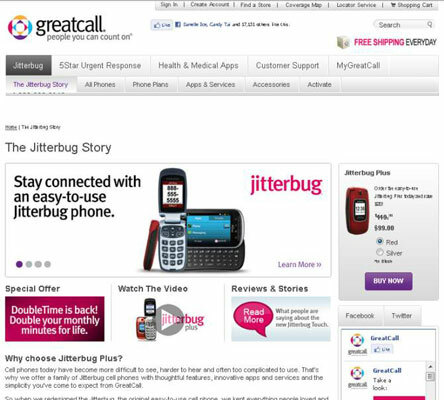 The Jitterbug service plan is provided by GreatCall, does not require a long-term service plan and includes optional features, such as a personal calendar. This phone and plan were created for the elderly, but may work well for parents who want to equip their children with a call-only phone. Plans are $14.99 per month.